Not a Filz-helmet but a Filz Tschako, maybe they are more common. Exceptionally rare Philippe. But not leather. Its coated cloth often called "Alkor" here. I would say that unfortunately you bought a replica from India. That is not an original. Nothing right about it. Everything home-made. John the helmet sold. They were a Württemberg and as such, never wore a Reich's Kokarde. Another favorite with my fondness of Jäger. Everyone should have one of these! They are magnificent. Why not? Give me a week until I get home and we will set it up. James --- I have got to buy that book! Yes you do. Absolutely brilliant and I would suggest not even looking at a Raupenhelm purchase without it. Topic: Feldgrau Krätzchen - Unissued or Just Brand New? Re: Feldgrau Krätzchen - Unissued or Just Brand New? Looks like quite a few people also think its a good one. Good luck! Wow! Now that is a rare bird. Now you can shave in your collection room. Well done! No need for any concern. 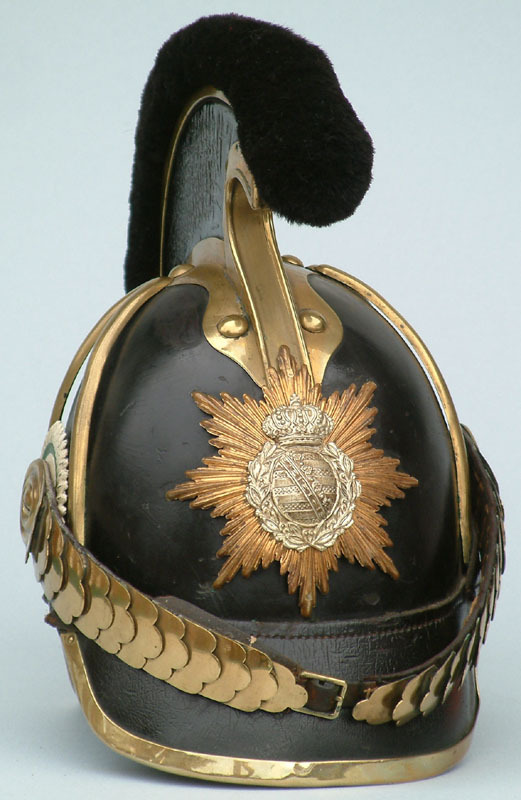 Beautiful correct officers Pickelhaube. That is a correct Tschapka liner, so it's possible the visor threads rotted and someone took it to a shoemaker who hammered it on from the front. My references are still packed, but I believe that is a metal commemorative piece with added crown for the Eisenbahn Betriebsabteilung. Use a magnet. If it sticks, its steel. The Wappen is off a post-1909 Saxon Jäger Bn. Tschako. Must agree with Jonas. That is terrible quality. Originals are beautifully made, like jewelry. Some General's shoulder boards would look brilliant displayed with those. That cap is not from Württemberg. Those are Prussian Kokarden that have aged. Regardless, I would recommend not bidding on this as that cap is not military. It will probably not work for a cork helmet using this method. Agree completely. Cork Ersatz do not lose shape, they break. You cannot piece together a broken egg. Be grateful they covered these in cloth, that is what has kept most of these together all these years. 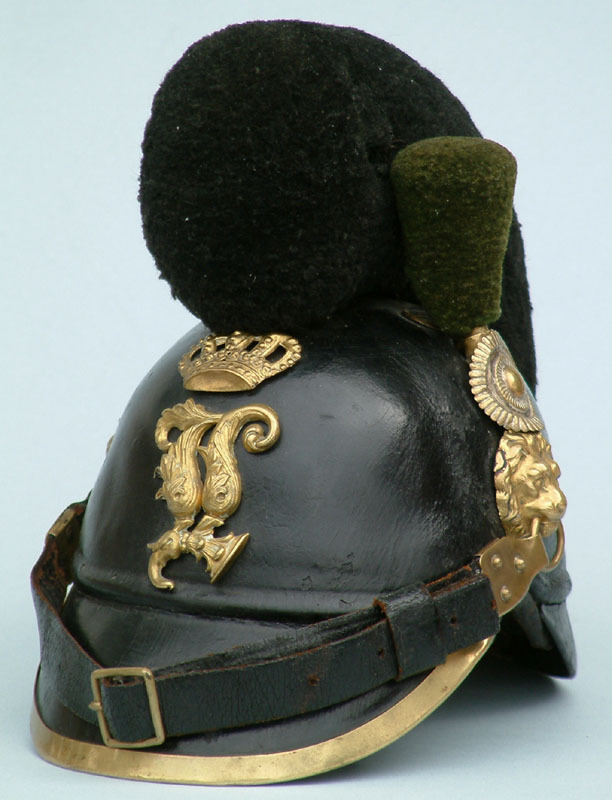 The Reich's Kokarde was worn after 1897 but only by Reich's assets, like all military units etc. If it was a Kingdom or Dutchy asset (like police, customs etc.) those units did not wear a Reich's Kokarde. I am not familiar with how the Landwehr fit into the heirarchy. Those are not Imperial German. Possibly Third Reich? Hopefully in the USA. That helmet should never leave the United States. Peter is this the one you mentioned recently in the Mod Forum? this is a helmet I truly would have loved to have in collection, just not the right time for funds. I am sure it went to a good home. Just looked again, and if that is seal hide that was a freak seal as it had wool. Please compare to any of mine. Here is a representative example.